Home to Florida panthers, eastern indigo snakes, and alligators, the Big Cypress National Preserve in southern Florida is a national park, a seemingly superficial designation, because below the surface, Collier Resources Company holds private mineral rights to the reserve. 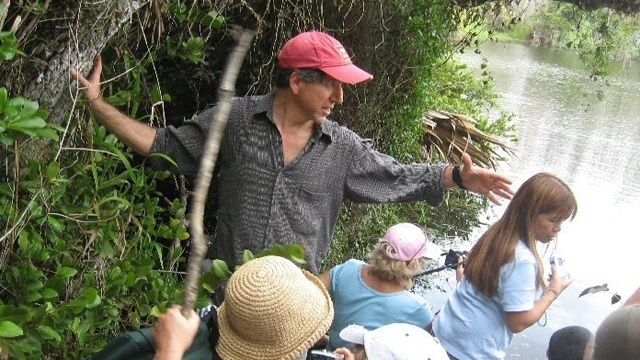 According to Matt Schwartz, the Executive Director of South Florida Wildlands Association, “Collier owns over 800,000 acres of mineral rights in the Everglades” and already has two oil operations in within Big Cypress – one at Bear Island and another at Raccoon Point. Burnett Oil Co. has applied for a seismic survey permit in Big Cypress, which will allow Burnett Oil to send vibrations into the ground in order to find the most lucrative areas for oil drilling. Schwartz believes that the survey will almost certainly spot oil, but the question is simply where the most promising areas are specifically located. Once these areas are determined, exploratory oil drilling can occur. Drilling will not necessarily happen immediately after the surveying, however. “Seismic testing is a commodity,” Schwartz explains, “and the data collected during the testing can be sold to other companies.” In an area as large as the Big Cypress National Preserve (over 700,000 acres), knowing the precise location of oil is very valuable to companies interested in purchasing mineral rights. “If I were an oil company, I would want this [information] too,” says Schwartz, “but [Big Cypress] is one of the most biodiverse places in the U.S., and it is very sensitive.” Big Cypress is home to about 30 listed species, which the seismic testing process could place in jeopardy. However, the ecosystem’s enormous sensitivity could, perhaps, be a compelling enough reason to prevent the seismic testing. The National Park Service (NPS) is conducting a study to gauge the extent of the damage that would occur if the survey proceeds. If the biological opinion says that “the threat to endangered species is too great, the project could be stopped,” Schwartz contends. Regarding the human impact, many of the people living in the surrounding area are shocked. “No one wants this,” asserts Schwartz, but much of the public doesn’t realize that a private company owns the mineral rights, and “[they] think the park is doing it.” People don’t live inside the national park, but hikers, hunters, and other visitors to Big Cypress National Preserve have expressed great concern at the possibility of further environmental damage. “I, personally, have been hiking and taking people out for swamp walks [in Big Cypress] for twenty years,” he says. Want to get involved? The National Park Service is currently holding a public comment period (until July 17th), during which you can share your thoughts on the Burnett Oil Co.’s plan of operations. For more information, check out the South Florida Wildlands Association and the Our Energy Solutions Facebook pages. Sources: Schwartz, Matthew. Personal interview. 24 June 2015. Staletovich, Jenny. 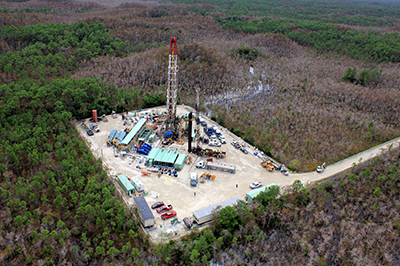 “Hunt for Oil in Big Cypress Back in Play.” Miami Herald [Miami] 17 June 2015: n. pag. Print.